Well, the excitement of buying a “new” swing set didn’t last too long and it was hard to get out of bed this morning knowing that this mess was waiting for me on my driveway. I don’t think I got ripped off paying $150, but I am damn disappointed that I don’t have a swing set ready to put together for my kids. A 7-foot spiral slide alone costs over $500 at Lowe’s. The accessories are fine (except the rope swing rope) but there is such extensive rotting and insect damage that the majority of the wood is unusable. Bottom line – I would never buy a Rainbow Play Systems set new or used again! I think the redwood is inferior to most pressure treated wood. I’ve never seen damage like this before, and although the set I bought was 16 years old, I’ve been reading horror stories online all night and morning from people who’ve experienced problems with Rainbow play sets after only 2 years. Rainbow claims they have the best warranty in the business. I knew I would not be covered because I was not the original owner, so that’s no surprise, but after reading this story, To Rehab a Redwood Swing Set, I would not be happy with the warranty even if I was the original owner. This story doesn’t tell you HOW MUCH you pay for shipping, but does tell you that he paid it. From reading elsewhere, you pay hundreds of $ for replacement wood shipping and that DOES NOT include installation. My plan, as of right now, is to buy new pressure treated lumber for the deck (2″x6″) and deck joists (4″x6″). But I don’t plan on building the same “castle” style deck, where the supports extend out beyond the base. Instead I will make a tower and attach the ladder supports perpendicular to the base. I will lose the ability to hang the tire swing underneath, but I’m sure I can find another spot for it. Another alternative I’m looking into is buying another swing set from Cole for $100 and using the tower from it. This set is in my development and I wouldn’t rent a trailer for it. But alas, after checking it out this evening, I don’t think it’s worth $100. The lumber on it is damaged, the slide is cracked, the medal is rusting off, and the entire thing is leaning. I was scared to go on it. And I am not really happy with Cole because he thinks he’s going to strong arm me into buying it. As Smart Jr. says, “Doesn’t he know he’s not dealing with an idiot?” I guess not. Back to the drawing board for me! Thanks Julie. I was thinking the same thing myself. I really just wanted a used swing set for the parts + wood so I could build my own configuration, but now I’m thinking I’ll just start from scratch. I’m sorry @ Red but i gotta say “16year old” play set bought used and you complained – should be ashamed of yourself! I’m looking at buying a kid kraft set but have to admit – Rainbow doesn’t EVEN USE RED Wood anymore. They use solid 4*6 beams that many houses in the USA don’t even use for beams and headers! Giving a review on what is a second hand or even a third hand product and not stating in the first line you are reviewing something 16yrs old and trying to pass it off as new is soundly unethical. Good look sweet friend! How hard is it to make a really good product??? Seriously!!!! Let us know how it goes down! Well first of let me tell you that almost every wood rots when its constantly sitting in the ground or when its not properly protected with a sealant. The same goes for the carpenter bee damage , no protection = carpenter bee damage. One quick tip is Easy off Oven spray for the Vinyl pieces. You will find these problems with every wooden swingset . You should have called Rainbow first and for a lil fee they . would have came to the place and look at the swingset and give you an advice. i mean you paid $150 for a swingset which is around $7.000 to $8.000 Brand New its the same that you dont get much anymore for a old crappy car thats not well taken care of either. You cant expect a perfect condition swingset for this price. This thread is several years old, so likely you’ve found a solution and moved on. a couple of woods (e.g., redwood and cedar). Of those, redwood is the best. for example, to put concrete pads (pavers) down wherever the wood would contact the ground. Rainbow won’t even start a warranty claim if the wood is grey. Fine, owners need to keep staining the wood. Do they tequire owners to lift the set and stain the bottoms of the “ground runners” that contact the ground? If so, it woul require a forklift, a crane or disassembly/reassembly. If not, how is the wood contacting the earth protected from water or pest damage, except for the time the initial stain from the factory lasts? The old owner’s left a redwood rainbow playset here, complete with stained yellow bars and rotten wood deck. The set was purchased new when they built the house. After 4 years the thing looked 20 years old. I had it removed. Bummer. I have a friend who wants to buy my 8 year old Creative Playthings swing set to replace her 5 year old Rainbow, but she can’t have it because my kids still use it. I would be really mad if I purchased one of these new. you know, rainbow does say right on their site how to care for their playsets. and it consists of treating the wood every year to keep it protected. I know when I built my 17,000.00 dollar deck I have certainly treated it every year to protect it. And when I bought my 12,000.00 dollar Rainbow play set I did the same thing. number 1, because that is what they recommended for their care. and number 2, I certainly wanted to protect my investment. but I read complaint after complaint about wrotting wood, and how terrible their play sets are but I bet 1 out of a hundred actually did anything to protect it. you wax your cars right, paint or side your houses, spray your decks, water treat your concrete driveways, reshingle your houses, why would your Rainbow play set be any different. they don’t sell them saying they will last forever or that they are industructible. Why wouldn’t you protect it like anything else you own. I’m just sayin! I totally agree. We have the King Kong and it’s over 18 years old. It looks just as good as it did brand new if not better. We use an oil sealer every 3 yrs and there is absolutely NO rot. We paid $5000. and that was a lot of money 18 yrs ago for a swing set. Our main reason was we needed something that would last and be OK for adults. We have a 27 year old son with cerebral palsy and he still swings to his hearts content. All the neighborhood kids love it and even their parents swing and slide. My grandson’s are enjoying it, too! Take care of your investments an it will pay you back! NO REGRETS! Pressure treated lumber has many chemicals added to it. Hint, the word treated. Yes, the natural organic redwood or cedar rots with ground contact or age but I chose a Rainbow set for my grandchildren because it did not have arsenic, etc. in the wood and the triangle design of the Castle series was more stable. I wanted to be able to swing and climb into the unit myself and I did. 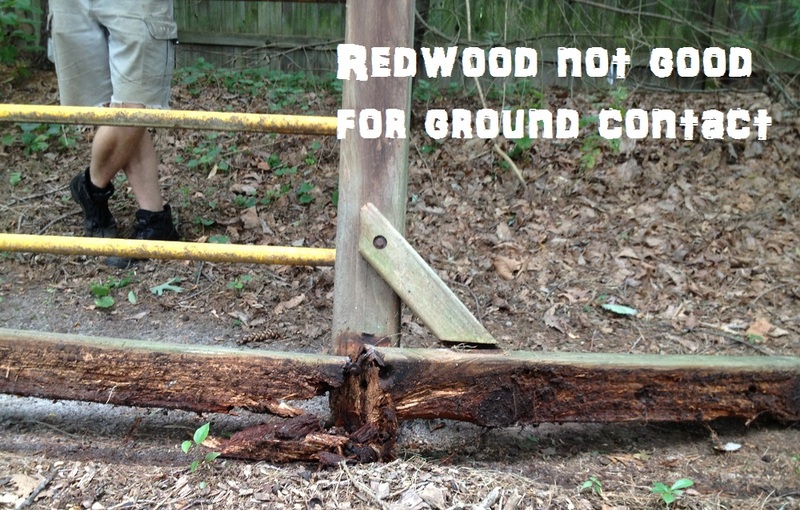 >> after reading this story, To Rehab a Redwood Swing Set, I would not be happy with the warranty even if I was the original owner. This story doesn’t tell you HOW MUCH you pay for shipping, but does tell you that he paid it. These sets do indeed require quite a bit of maintenance – but we really have enjoyed ours. And I say that, even though my kids don’t use it that much anymore – as my set is 15 years old now. Yet, next Friday, I’ll add new mulch. And I just recently painted and cleaned for the season. I want to see if I can make mine last 30 years – that’s the plan, anyway! By the way, a few years back I wrote an article on maintenance for these sets. It frankly gets a number of reads, and several folks have commented with additional tips as well. In case you’re interested, it’s at this link here: http://www.all-about-the-house.com/7-tips-for-maintaining-a-redwood-swing-set/. As for shipping costs, Rainbow is charging me $212.00 for a single beam. They should be ashamed. Any item that is Oversized or Overweight has to ship freight on a real truck, no UPS/FedEx vans, so it is very expensive. Wow, I am a little surprised at the ignorance in this post. I have been in the playset industry for years – with a major competitor to Rainbow Play Systems. First, wood is wood and it will ROT. Redwood and Cedar are some of the absolute best quality woods to use outside and are some of the most naturally resistant to rot and decay. That said, all wood will rot if it is not maintained properly. So, what does “maintained properly” mean? Every manufacturer, including Rainbow, stains and seals the wood at the factory. This sealant doesn’t last years and years. It lasts at most 1-year. That is why EVERY manufacturer requires YOU to stain & seal the playset every year in order to keep the warranty intact. Look up the PlayNation, Creative Playthings, Superior Play, and other manufacturers warranties. They are all the same!!!! For a self proclaimed DIY’er, I’m surprised that you don’t realize that wood outdoors needs to be maintained regularly…. not ONCE AT THE FACTORY. Now, lets talk about the set you bought. You purchased a set that the original owner NEVER MAINTAINED. That isn’t Rainbow’s fault… it is yours. You bought a complete piece of garbage for $150 (yes, the original set is probably about $8k). The previous commenter is correct when comparing this to a car. If I bought a Honda Accord used for $500, do you think it would be Honda’s fault that it has a cracked engine and the floorboards are completely rusted through? Seriously? According to your rational, it would be because Honda should have treated the car for this when it was built at the factory. 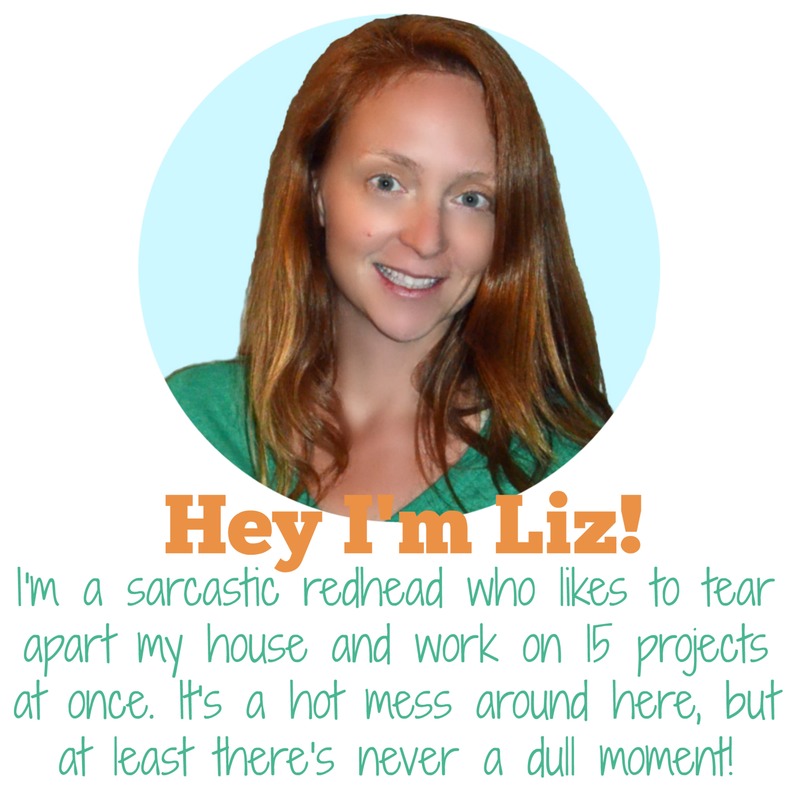 Your article really shows us two things: 1) You are a terrible DIY’er and 2) You are a terrible shopper. I wish you luck on future projects. Wow. That was super mean. What is really mean is your slanderous review of a company that doesn’t deserve it. Hear this same “vibe” by salespeople reported by lots consumers shopping for, or who have purchased these Direct Sales sets. Smacks of door to door water treatment, siding, roofing, and window sales. Maybe buy from a place like Costco with their return policy. I have to say I agree with many of the more recent posts including Julie. It’s unfortunate how quick so many disparage companies online when often they are at the least under informed. Julie (a competitor of Rainbow’s) draws attention to this and defends her competitor and it called “mean.” Somebody needs to launch a website where business owners can rate and share bad customer experiences. The remarks you found online regarding Rainbow could have been posted by anybody, including their competition. Everybody knows they are the industry leader which makes them a target for all copy cats. To slander Rainbow based mostly off third part remarks you found online rather then your first hand experience with your 16 year old, poorly maintained, $150 CL purchase is unreasonable. I have for one have been a delighted multiple Rainbow owner for 12+ years now. My sets look great and my local dealer has been a pleasure to work with. We maintain our sets and the small warranty issue we had was handled by the local dealer with ease. They added our warranty parts to one of their regular shipments and didn’t charge freight. Wow, you could really help other customers who report the exact opposite experience with warranty claims out by asking your rep to contact them or the corporate offices for them. It’s advertised as one big happy family, no? We have been very pleased with our Rainbow system. Our system is almost 20 years old and still looks good. We stain it every few years and store the flags and tarp in our garage over winter. I’m not sure what theses posters expect from a wooden playset if they don’t maintain it. I don’t care who the manufacturer is. If you don’t maintain your set it won’t last. Very simple.